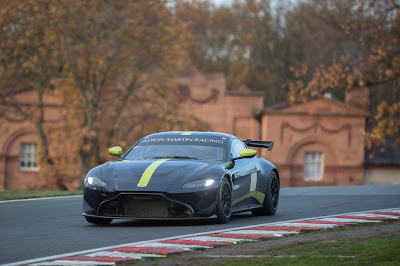 Plenty of water has passed under the metaphorical Aston Martin Racing bridge since the end of the 2018 British GT Championship with so many teams committing to buy and race multiple units of the factory's new 2019 specification Vantage GT3 and GT4 both at home and abroad with order books at record proportions. One such fan favourite team confirming early to face the challenges of the 2019 British GT Championship season was Andrew Howard's Beechdean AMR squad who would, for the first time since 2016, return to the British GT Championship with both a GT3 and a GT4 car. Joining Howard and Marco Sorensen (who would race together in their brand new turbo charged V8 Vantage GT3) would be the 2018 GT4 Pro-AM runners ups Martin Plowman and Kelvin Fletcher who would race in the teams brand new turbo charged V8 Vantage GT4. Having spent the last season and a bit with both the Stratton Motorsport and the RJN Nissan squads, Plowman teamed up with TV star Kelvin Fletcher last year aboard a rejuvenated Nissan 370Z GT4 to push hard towards the top step of the GT4 Pro Am class, missing out to the Team Parker Racing Mercedes AMG GT4 of Scott Malvern and Nick Jones almost by virtue of their DNF at the final round at Donington Park. Fletcher proved himself to be one of the faster and more capable amateur drivers in the GT4 paddock last year and developed into race winning material under the watchful eye and instruction of the former Le Mans 24 LPM2 class winner. 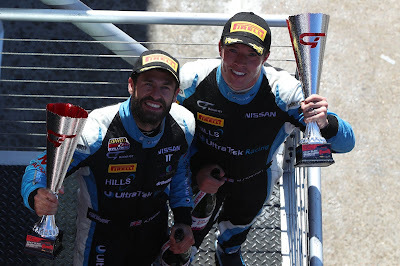 "Hungrier than ever" as they have been quoted to say, the duo will look to improve upon their championship outcome this season from the start despite being with a new (but highly experienced team) and in a new car. Having originally intended to catch up with Plowman at the recent Autosport Show (but missed), he kindly agreed to take some time out of his schedule to give us a little background to what he has been up to since Donington and just how those choices came about. So - what have you been up to then Martin? "It’s been a much busier than usual off-season for me. It’s the first time in a long time that my racing program has been confirmed before Christmas so that definitely took some stress away over the Christmas period. On top of working with a new team and preparing for the season I have also started an online motorsport engineering degree and to top it off I’m training to run in my first ever London marathon." 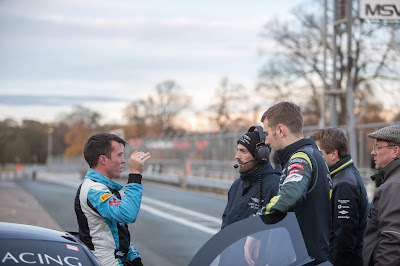 "The engineering degree is probably the hardest as I left school at 16 to pursue my racing career so there are a tonne of mathematics that I haven’t covered and I’m essentially cramming 4 years of study into a 3 month module that covers the maths I need to move forward with the course!" "As for the marathon training, it’s no more intense than what I would normally do for a pre-season, but naturally it’s hard getting your body in shape for the longer distances. I just have to remember why I’m running and the money I hope to raise for Whizz Kidz. They’re a fantastic charity that I was introduced to last year that do so much for children with disabilities." Why AMR? Who lead those decisions? "The decision to leave RJN was very hard as they are one of the best teams in the business and I’m very fond of Bob, Liz and the guys there, but ultimately the decision to move to a British brand was made for us on commercial grounds as we have some exciting new partners coming on board this year (to be announced soon) who desired to be affiliated with a premium British brand. Aston Martin is such an iconic British brand with a deep racing heritage that I’m sure any driver would love to be involved with. 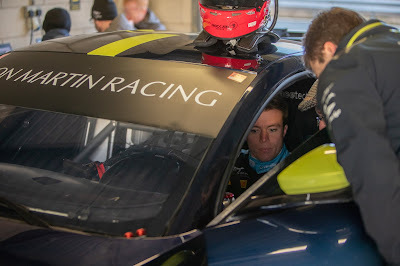 I had looked at the other viable options in GT4, but I felt that Aston Martin combined with the people running it provided a stronger combination." "When we were talking with potential new teams I was drawn to Andrew’s passion for racing and the high standards he expects across the board. He’s helped to shape a winning team with Aston Martin. I’ve already met most of the guys I’ll be working with and many of them come with 10-15 years plus experience of working at Prodrive at the top level, so I’m excited to be able to lean on that experience to get the most out of the car this year." Have you driven the new Vantage GT4 and where? "I’ve only done 6 laps in the car at a damp Oulton Park before Christmas. It was an Aston Martin teams evaluation day and I was invited to sample the car. My first impression was ‘wow’. It’s a completely different car than the other GT4’s I have driven. The chassis is a lot stiffer with very little body roll. It has a lot of mechanical grip and the power delivery was very smooth with very good low end torque. My overall feeling was how easy it felt to drive on the limit. It inspires confidence straight out of the box and doesn’t give you any nasty surprises if you overstep the mark. Clearly it’s a very well engineered car aimed at the gentleman driver and I guarantee amateurs will feel like a hero driving this." When will you hope to be out testing in your own car? 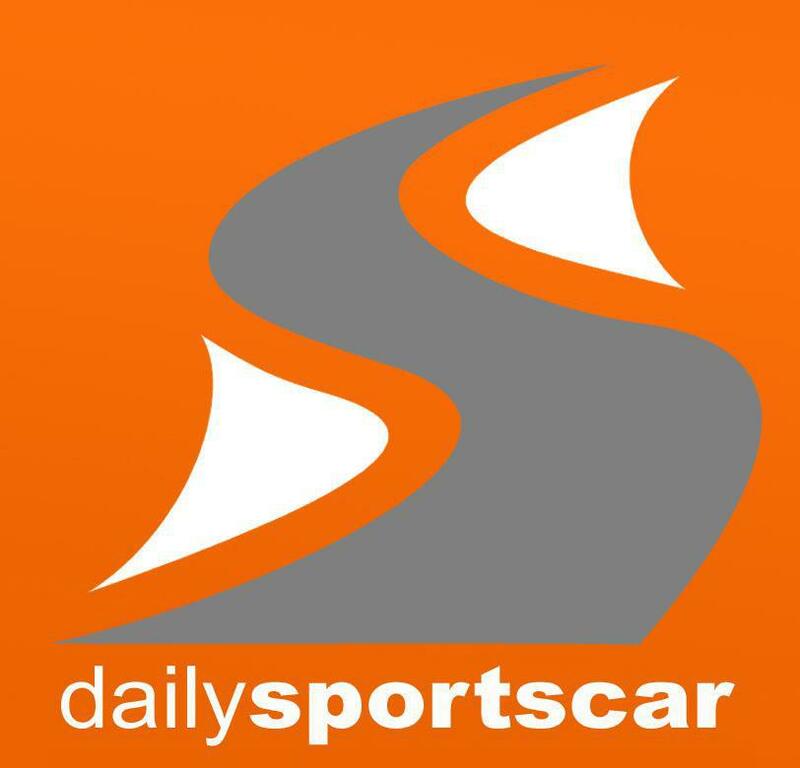 "Beechdean’s GT4 is still being built currently but we will be starting a simulator program soon to start shaking off the rust and get back into a competitive mindset working through setup changes and looking through data. Kelvin and I don’t have an extensive testing program planned at the moment but we at least hope to be able to go to the collective AMR test in March. It will be a very important and useful couple of days to get acclimated to the new car. Luckily the team already have a lot of data and information about the car so the test will primarily be about getting us up to speed and fine tune a few setup items, as the bulk of the development has already been done. I can’t wait to get stuck in this year!" 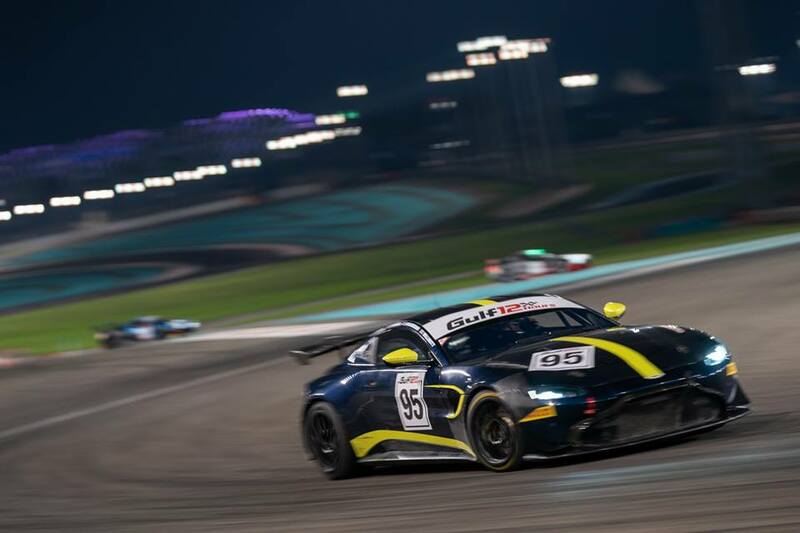 With new AMR Vantage GT3's and GT4's expected to be into the low double digit volume at the start of the 2019 British GT Championship at its traditional season opener at Oulton Park towards the end of April, we know that driving partnerships like Plowman and Fletcher will only make for a great spectacle.